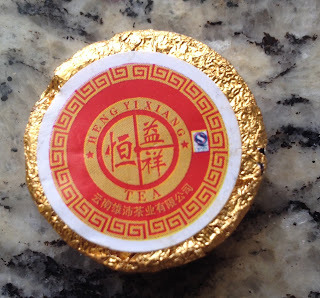 Puer wrapped in gold foil, 2012, each puerh coin weighs between 5-6 grams. This is a fermented, ripe and aged for 5 years. The tea is made from cut and tea dust compresses and aged for 4 years before it was put on the market to be sold. 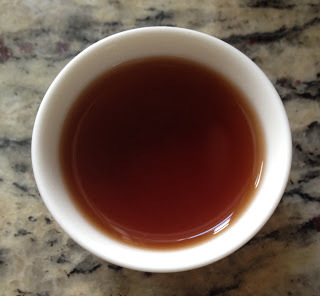 Conclusion: The tea was unimpressive to the taste buds, however, may be a good introduction for Puerh tasting.